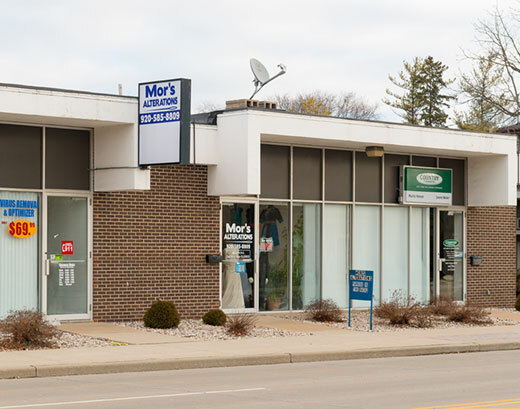 Mor’s Alterations is family owned and operated. We opened our store in August of 2015 to provide fast, courteous, and quality alterations services to clients in the Fox Valley. We understand the sentimental value of one’s clothing and aim to ensure your clothes can be repaired or altered to fit your needs or whatever the special occasions. Please stop in our store and see how we can assist you. Responsible, reliable, and high quality alteration services on time, less time, and less money. If you are looking for fast and friendly alteration services in the Fox Valley, please consider Mor’s Alterations for your next alteration need. We are conveniently located on Wisconsin avenue with parking in the back of the building. Questions or comments? Please contact us via the form below or call us at the store at 920-585-8809.